Who would think that as we enter the coldest days of the year that we already have days booked up for pool openings? Every year, I teach a course on pool opening. The term “pool opening” is probably defined differently for every pool company. What I teach companies is to do is to communicate with their customers to let them know what is included in their opening. That is the reason we post what is done on our website for pool openings. 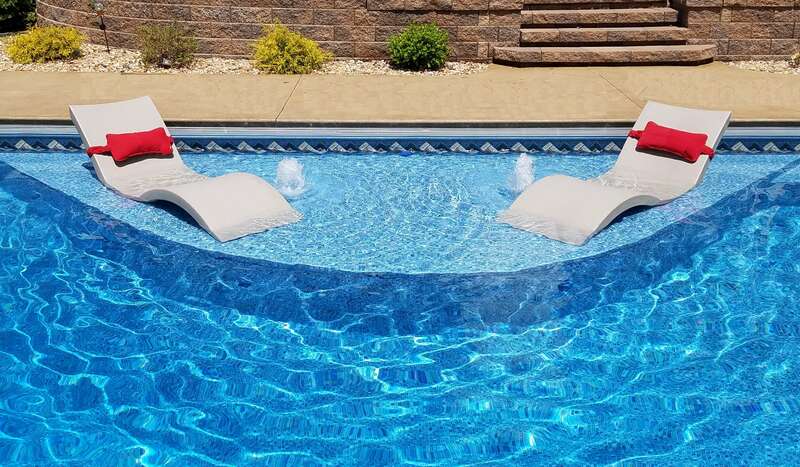 We could charge $99 and have the cheapest pool openings in town by leaps and bounds. The thing is, that this opening would be one that nobody is happy with. Chemicals wouldn’t be included, cleaning, cover not included… we would basically install a few fittings and turn the system on. Being in business for 25 years now invokes some trust in our customers. We don’t claim to be the cheapest, drive the best trucks, etc. We do claim that we have been in business because we are fair with our customers however, and that is why we love to hear from our customers, is because we know that you own a pool to enjoy it with your family. There are many customers who we have been working with for the past 25 years. What makes us great friends is that we trust one another to do what we say that we are going to do. Over the years, we have won many accolades and this year our President, Rick Woemmel won an award for Certified Service Professional of the year. This honor is more served by our staff than it is for him. It takes a team of great folks to run a great service division. One person alone cannot do it. To be recognized as the best in the entire country is a true honor and very humbling to know that other companies look up to us in this respect. If you have not scheduled your pool opening, please do so soon. If you have items that you know need to be addressed (new tile, plaster, liner, etc), please let us know of those as well as every year, our schedule gets booked up very quickly. We certainly wish that we would be able to service all of our customers and get everything done that needs to be done at the pools, but we realize that there are only so many hours in the spring in order to get these items completed. We look forward to another great year and thank you, our customers as well for putting your trust in us for your swimming pool needs. We realize that without awesome customers giving us accolades, that our company would not grow. Providing you with quality work is something that we pride ourselves on and look forward making your family backyard a fun place for you to enjoy!